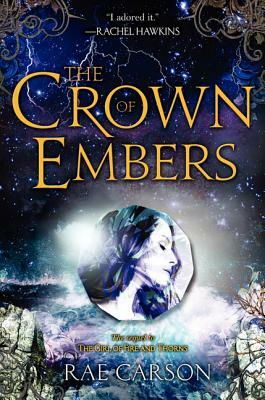 On the heels of the war with the Inviernos and the death of her husband, the king, seventeen-year-old Elisa has taken over ruling the country of Joya d’Arena. This is no easy task: attempts on her life are made, members of her Quorum (the ruling council) are plotting her overthrow behind her back, and the only person she can truly trust is Lord Hector, the commander of the Royal Guard. It turns out that Elisa has more to do than just figure out how to rule a country on her own: being the bearer of the Godstone, she needs to figure out how to harness its power, and that involves a trip to the southern islands, to find the zafira: the source of all power. Much like the first book, the thing I liked best was that Elisa was a strong character, and yet she’s incredibly vulnerable. She is human — she has weaknesses and makes bad decisions — and yet she is admirable: constantly finding depths in herself that she didn’t know existed, finding ways to handle situations she didn’t think she could. I loved the way Carson wove religion through the book, without making it seem hokey or preachy. And, because it ends at a point where I was sitting on the edge of my seat, I can’t wait to read the final book in the trilogy.